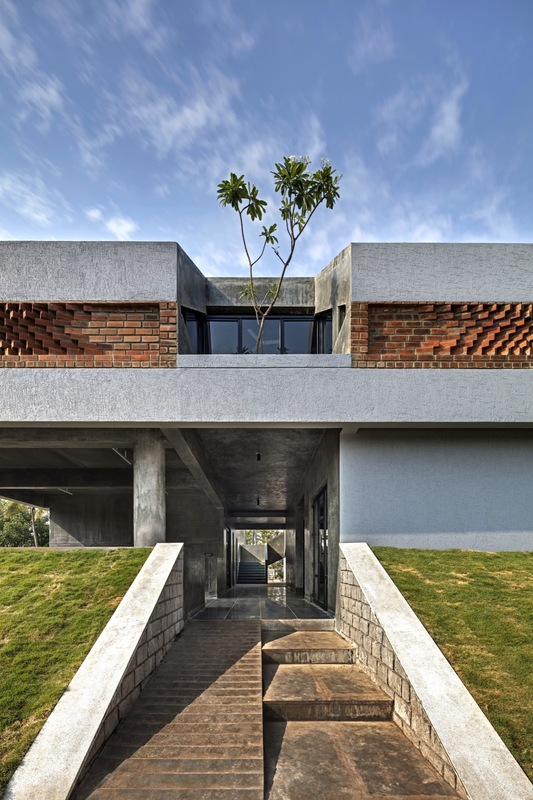 AXIS PRAMITI SCHOOL, Bengaluru, by The Purple Ink Studio - ArchitectureLive! The programmatic values of the school believe in breaking away from the standard scholastic teaching system. The design embraces the creative enterprise of ‘flexible learning’ to cater to the needs of a heterogeneous group of learners. The site is a land with steep sloping natural topography and several existing trees making it an ideal setting for imparting educating in a green environment. The premise is designed to be safe and close knit yet completely flexible creating an encouraging and interactive environ. The administrative hierarchy is conventional for ease in functioning while, the learning spaces and the activity or extracurricular areas encourage interpersonal contact between the students. 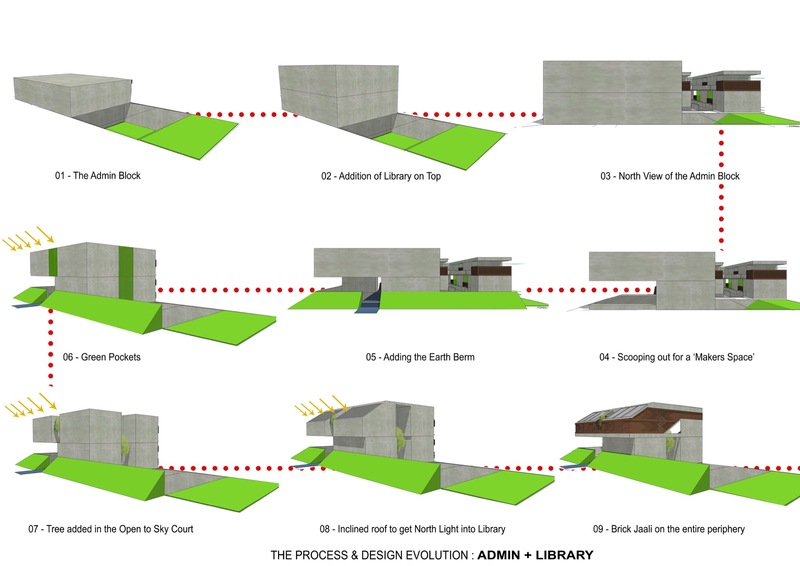 Each learning space is organized around an outdoor court which enables the extension of the indoor space into the outdoors either for additional activities or to accommodate more students at a time within the same space. 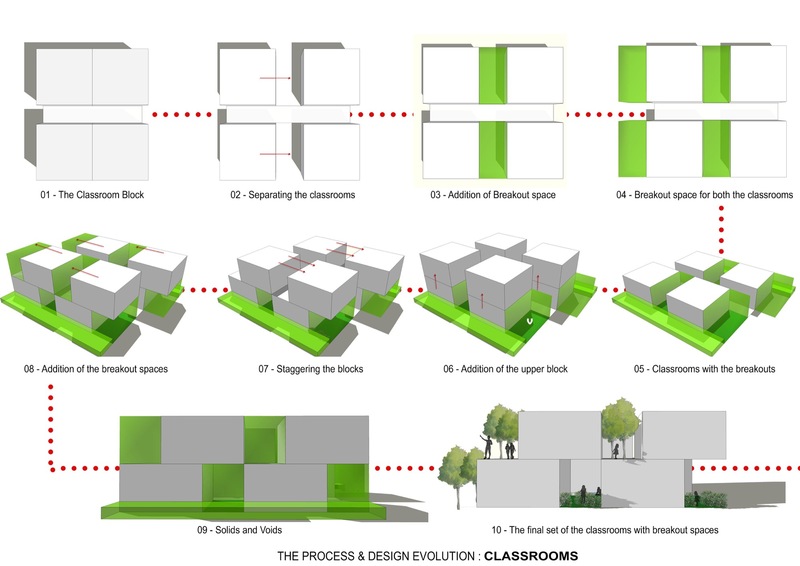 Each of the classrooms which are occupied through most part of the day is climatically oriented and houses a tree in the outdoor court making spaces comfortable to inhabit through the year through passive ventilation. 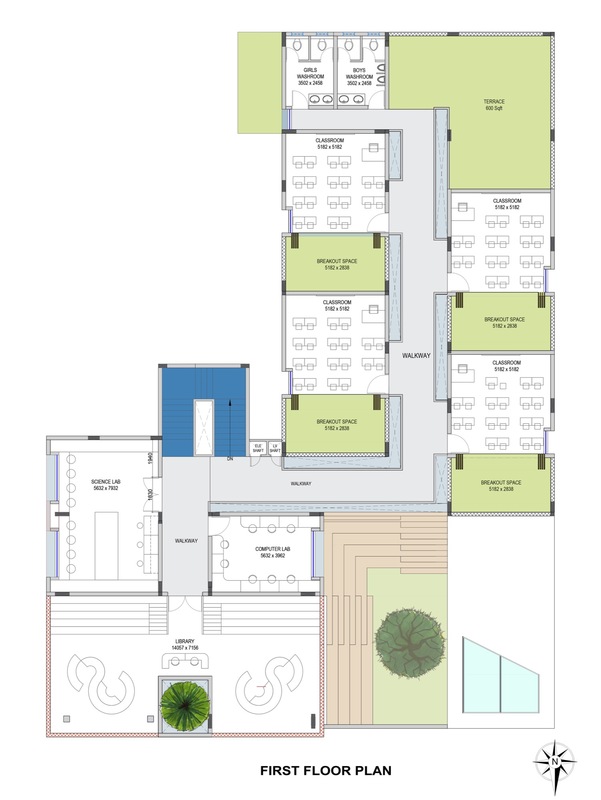 The lower administrative floors and the facilities for additional activities like the Laboratories, AV rooms and art classes on the upper floors are connected with a series of inner courts that are extendable into outdoor learning areas, blend to become a green corridor where the students can interact in a natural environment. The entire feel is organic with natural light washing the exposed walls and ceilings with a spectacular play of light and shadows. 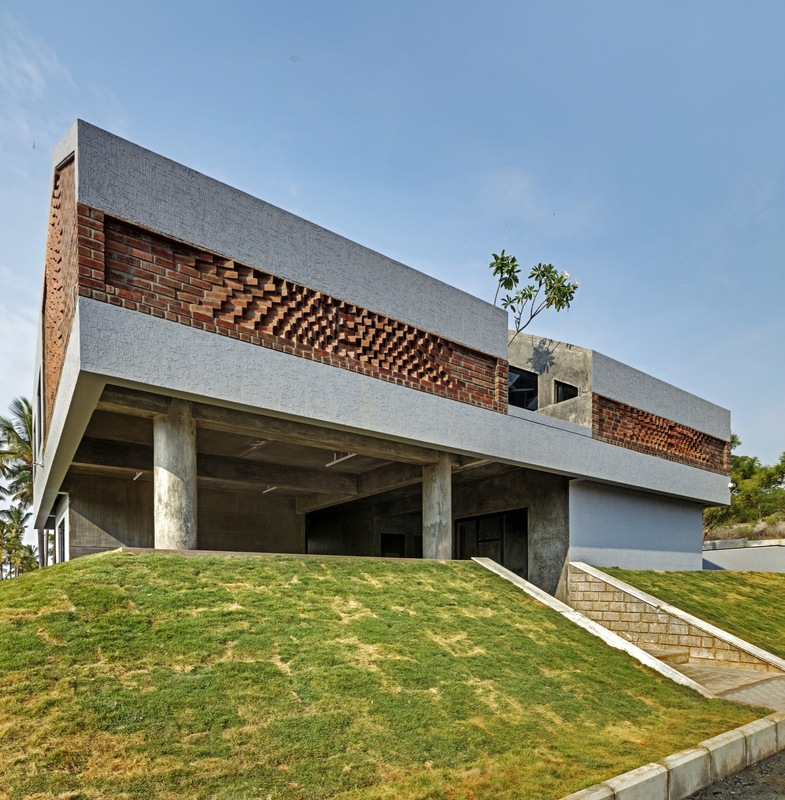 The spaces are further held together with a strong design language of exposed Cement finishes, Pigmented Walls and Brick Jaali openings which merge the interior and exteriors, quite literally. The flooring in all the main rooms is planned in Kota stones and the common corridors are planned with IPS. 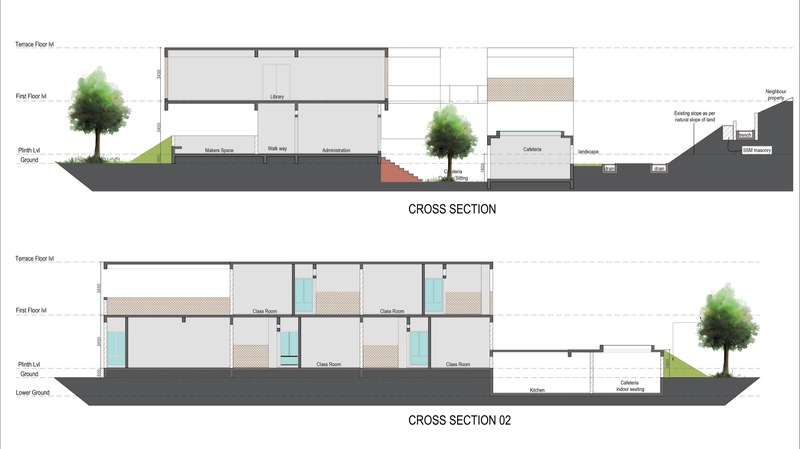 The interpersonal contact between the students is an important factor in the design, which is achieved through various hierarchies of interaction spaces. The premise is designed to be safe and close knit yet completely flexible creating an encouraging and interactive environ. 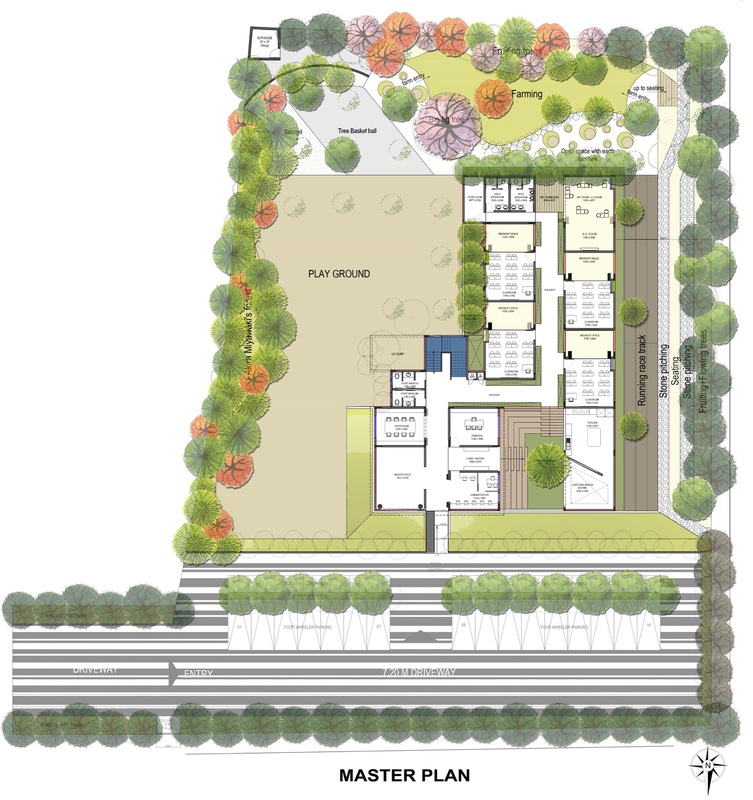 The landscape is set to create a natural and productive environment where the learning can be extended to the outdoors making the students sensitive to ecological factors by maintaining the biodiversity of the campus. The structure also responds to the climate, reducing the dependency on mechanical sources for ventilation making it an energy efficient building.